Installation is easy and reversible. 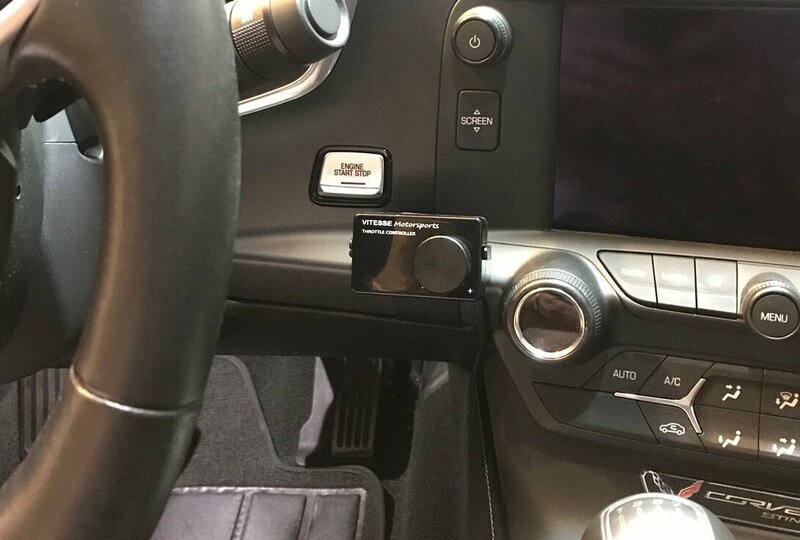 The C7 Corvette Vitesse TC Mount provides a clean and convenient mounting solution that puts the controller right where you need it – at your fingertips. 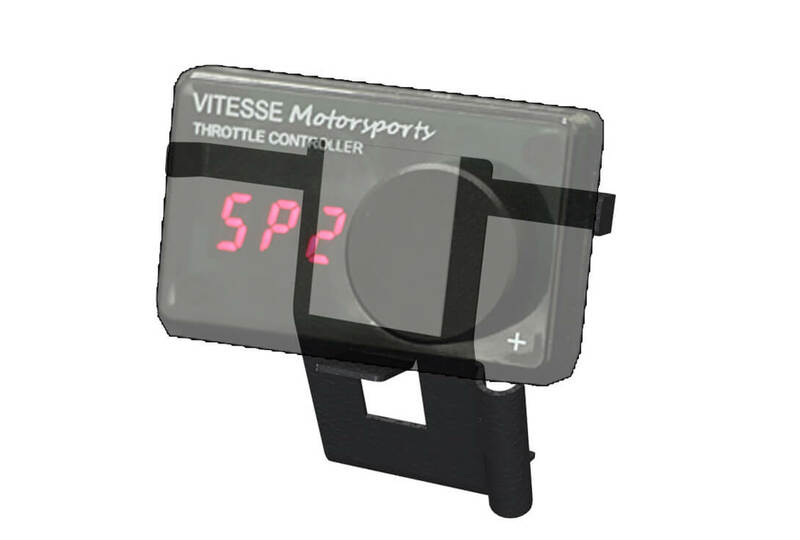 The Vitesse throttle controller has a rotating dial to set the amount of throttle response you want. From 0 (no change from OEM) to +9. This means you can set the throttle response you want depending on the situation, traffic, driving conditions, etc. For example, if the road is slippery you could dial it back to reduce throttle sensitivity. On dry city streets you might set it to 4 or 5 to make the car more responsive in traffic. And on the open road or on the track you can dial it up as you wish to get a truly thrilling response from the throttle! However you like it, the sensitivity is adjustable on demand. That’s the key feature of the Vitesse throttle controller: it’s adjustable on the fly. 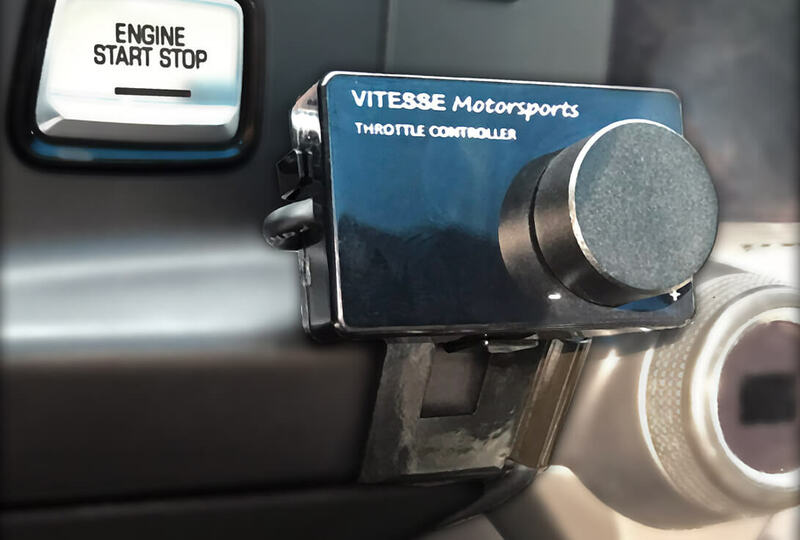 For convenience, you want the Vitesse throttle controller to be mounted where it is readily accessible. You don’t want to have to open the arm rest or reach down somewhere to get to the dial. Or take your eyes off the road to find it. 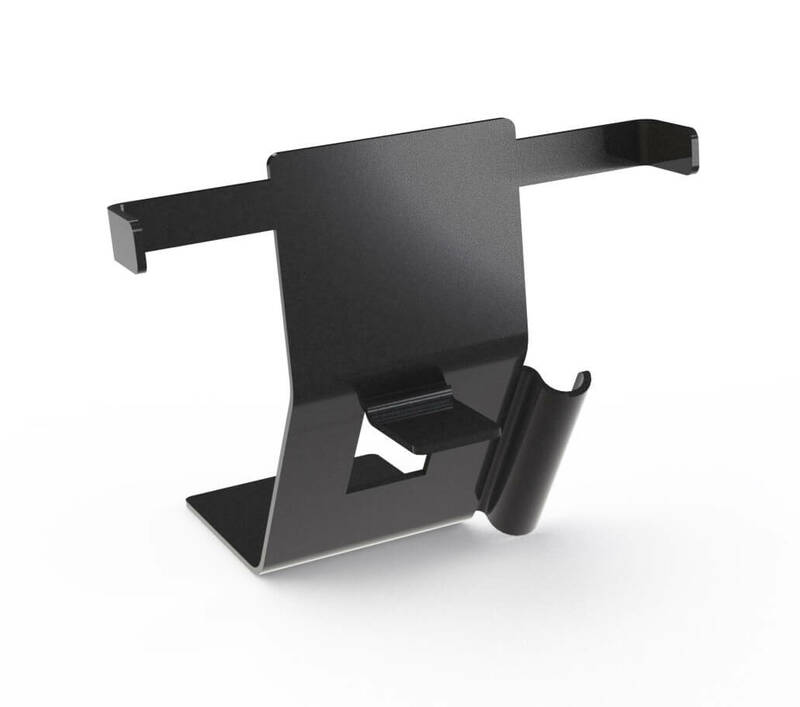 It should be mounted right at your finger tips where it can be set easily. 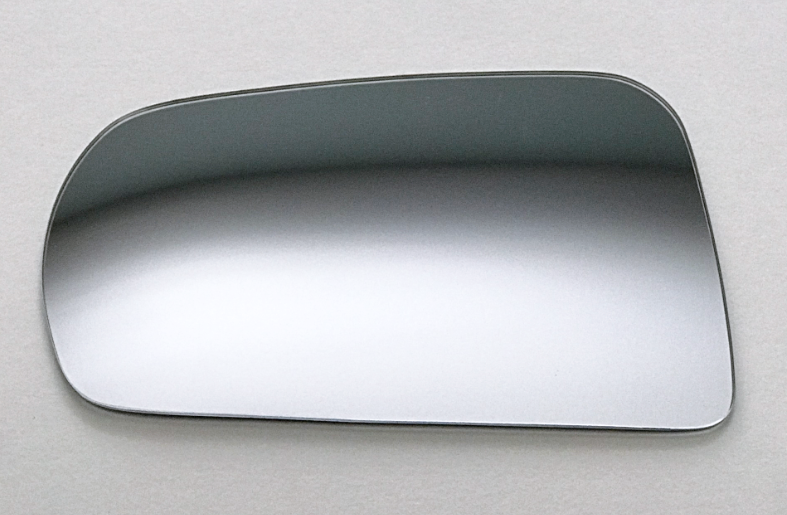 For the best mounting solution we offer our C7 Corvette Vitesse TC Mount.